This is a 'theatrical' magic birthday show, where I tell a story into which are woven the magical effects I perform. 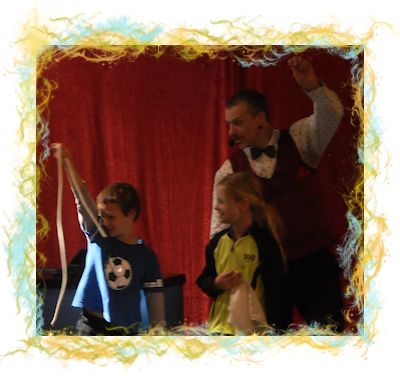 The children help with the magic, which involves brightly coloured props and 'magical artefacts' culminating in the 'Great Wardini's Marvellous Magical Milkshake' where the birthday child helps me with a very special piece of magic. After the magic I tell another story during which I create balloon models of the characters in the story. Show length approximately an hour. My children's shows include birthday parties, library shows, Kindies, Christmas parties, schools and clubs.